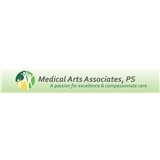 Medical Arts Associates (Bellevue) - Book Appointment Online! Medical Arts Associates has been providing high quality family practice to our many loyal patients since 1986. Our mantra is to be "competent, comprehensive, and caring" for each patient individually and within the context of family.Our clinicians include well trained and experienced family physicians and nurse practitioners. We are honored to serve patients of all ages, the entire family. We provide care for both acute and chronic illness. We place strong emphasis on preventative care and health maintenance. Each patient is unique to us as we assess medical needs and desires, treat and advise. We most succeed when you, the patient, are motivated to choose and implement a healthy lifestyle. We invite you to become an active partner in this endeavor. NOW OFFERING TELEVISITS also, HIPPA compliant. I felt very comfortable asking her various questions and she was really informative! Would definitely recommend her! Natalya was patient, thorough, and focused. Went in for an ENT issue but left with a treatment plan for multiple issues. She’s amazing.